Black Diamonds from Diamonds Chicago. Diamonds Chicago offers Loose Black Diamonds, Black Diamond Rings, Black Diamond Bracelets, Black Diamond Pendants, Black Diamond Earrings and other Black Diamond Jewelry. This is just a small sampling of the many design of Black Diamond Rings and Black Diamond Jewelry that Diamonds Chicago Manufactures. 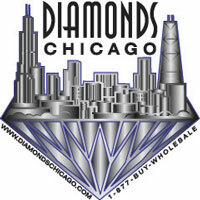 For Loose Black Diamonds, call 1-312-422-0400.